Workers compensation insurance is a vital protection for employers of all sizes, and by arming yourself with a solid workers compensation insurance policy, you can ensure you have the funds to pay out any workers compensation claims made by your employees without risking the financial stability of your business. 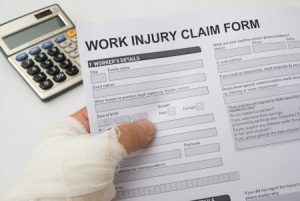 Regardless of what types of precautions you take to protect your employees from on-the-job injuries, accidents do happen, and employers then have a responsibility to provide any affected employees with the medical care and compensation needed to recover from the medical and financial setbacks they may face. Even if you operate a home-based business, a workers compensation policy may be necessary to protect you against claims made by your employees. Oftentimes, employees are injured while driving for business purposes, so if you have employees out on the road as part of their job duties, you are best served by procuring a strong workers compensation policy to protect you from potential future claims. Whether you need a single renters insurance policy or want to request quotes for all of your current policies, we can help. Our team has decades of industry experience, and we are an independent agency capable of working with any major insurance carrier to ensure you receive the most comprehensive and affordable policy available. We proudly serve hundreds of patients from New Port Richey, St. Petersburg, Safety Harbor, Tarpon Springs, Treasure Island and elsewhere across Florida, so contact us today to speak to us about workers compensation insurance, renters insurance, commercial insurance or any other commercial or personal insurance policy need you may have.